Happy Feature Friday! In this series, I ask female entrepreneurs about their passions and business journey to help them increase their visibility in the online space. Because of this series, female entrepreneurs can share business tips and inspire fellow entrepreneurs on their journey to success. In today’s feature we’ll be getting to know Melanie E. Bates. Let’s dive right in to the interview! What is your business? How is your business different from everyone else’s business? 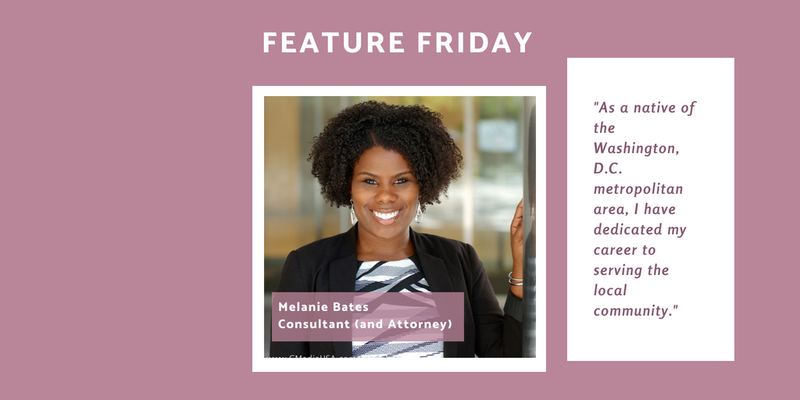 Melanie Bates Consulting, LLC is a Washington, DC-based consultancy providing superior guidance and solutions that empower clients to achieve their goals and leave a meaningful impact on the community as a whole. With a proven track record of success, MBC provides high quality services resulting in consistent attainment of optimal results. MBC specializes in local government relations, communications, and criminal justice reform. Who is the boss lady behind the business? Tell us a bit about you! 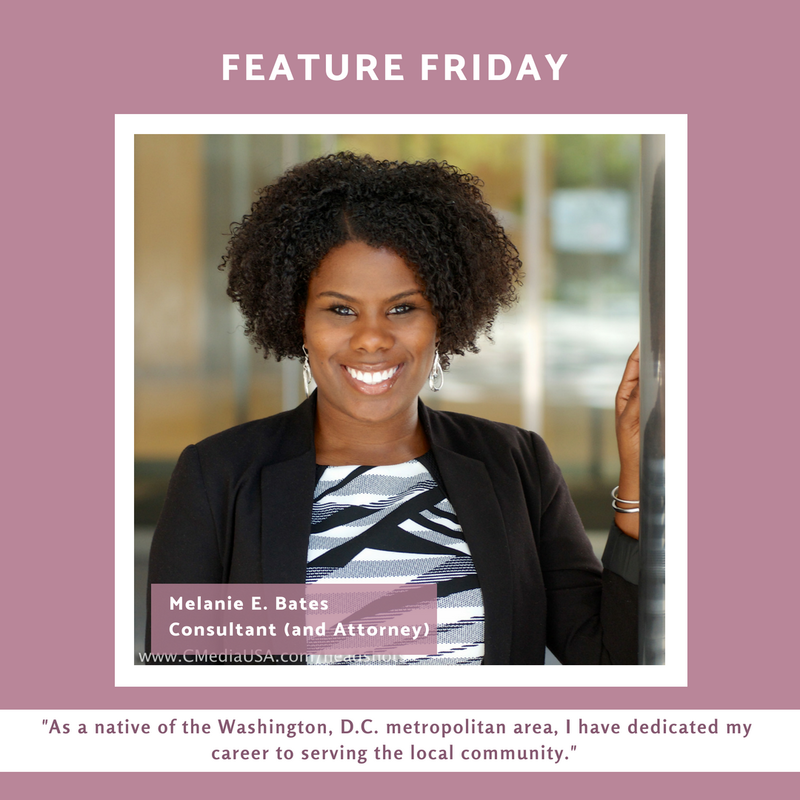 As a native of the Washington, D.C. metropolitan area, I have dedicated my career to serving the local community. I have a strong passion for criminal justice reform and believe it is incumbent upon our society to ensure that every person, regardless of socioeconomic status, has access to quality legal representation. Poverty, lack of education, and other social issues should not feed the pipeline to prison. Through consistent advocacy, I desire to alleviate the factors that force many people to become a part of the criminal justice system. There is an amazing sense of fulfillment when you work for yourself. You feel centered and mission driven. You are motivated to give it all that you have because you are doing it for yourself, your family, and your community. Any tips you’d like to share for those getting started on their business journey? I say, like Nike, just do it! Be patient, keep pushing, and take advantage of free resources. If you keep at it, you’ll see success. Don’t worry if you have a full-time job, not enough money in the bank, or don’t know other business owners – you can do it. Always remember why you are doing what you’re doing. That will get you through the lulls and energize you to keep going. If you want to show a little love and pay it forward, why don’t you consider sharing this post on your own social media accounts. Other ways you can provide support include giving her a shoutout on social media, sharing one of her blog posts, engaging with her social media or referring her to someone in need of her services. You never know how one simple act can impact someone’s life. Download the photo here by right clicking on the image and selecting save image. 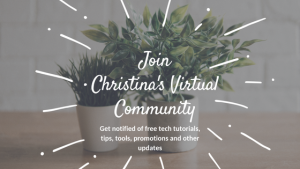 Are you interested in receiving weekly emails when a new female entrepreneur has been featured on the blog? Sign up here. I hope you enjoyed this interview with a lovely and inspiring ladyboss. What was your favorite part of this feature? Let me know in the comments below! Hey! I'm Christina. 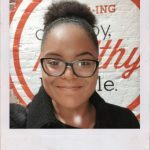 I'm a certified marketing & tech assistant helping female service professionals achieve work-life balance by providing them with the most valuable resource; time. I also enjoy starting projects that foster a sense of community and service.